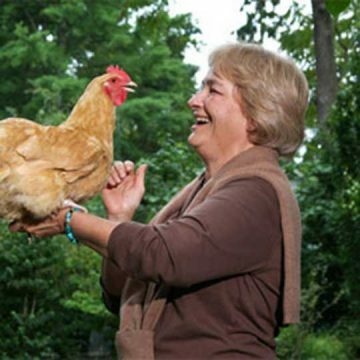 Pat Foreman is the author of the popular paradigm-shifting book: City Chicks: Employing Chickens as Garden Helpers, Compost Creators, Bio-recyclers and Local Food Suppliers (Good Earth Publications 2010). She is the co-author of: Chicken Tractor (Good Earth Publications 2011), Backyard Market Gardening (Good Earth Publications 1992), and Day Range Poultry (Good Earth Publications 2002). Pat has been widely published in major national magazines including Mother Earth News, Backyard Poultry, and BackHome Magazine. She is a very popular guest on local and national radio and TV talk shows, including NPR and CBS. She was the Co-host of the Chicken Whisperer Talk Show. She is a popular workshop presenter and the creator of the “Chickens and YOU” training series leading to the Master Backyard Chicken Keeper Certification.